Managing your cables well is essential for both business and home networks, as they are often the weakest link. Managed well, your fibre cables can be reliable and perform at optimum level as well as minimising hassle if they need to be moved or changed. Here are a few tips to keep your fibres working at their best. Planning- Planning is absolutely necessary for good cable management; otherwise the cables will end up in a confusing manner and used inefficiently. Make sure you have patch cables to match the installed cabling as well as the right connectors, because different types of optical fibre shouldn’t be mixed. Efficient Routing- The best route between connections is usually the shortest. Avoid congested cable pathways if at all possible, and do not obstruct other cables, cords or connectors. Make sure you know the length of the route, and therefore the amount of cable needed. Don’t allow for too much slack as this complicates management, but avoid tight cords as it will pull on connectors. Preparation- Prepare for the organisation and installation by inspecting the quality of the patch cords. Check for pulled out fibres, cracks or scratches in the connector, and cleanliness of the connectors. If they are not in a state to be used, they must be repaired, cleaned or thrown away and replaced. Cleaning- It is essential that your patch cables are clean, as any contamination, even at a microscopic level can affect performance. Make sure they are inspected with a microscope and you are cleaning them in the right manner. Removing a cord- Remove the existing patch cord with care, making sure that you cover the connector endface with a dustcover if there isn’t an automatic one. Follow the cord and unplug the other end, and fully remove the cord. Adding a cord- Plug the end of the patch cord into the connector, route the cord through any cable pathways and plug the other end into the connector. Take Care- The patching itself needs care as the connections themselves are vital. 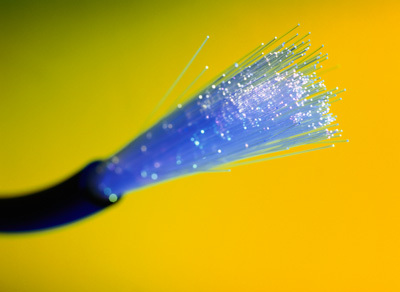 Excessive force when patching cords can affect the performance of the fibre optics. Bundling- Tying cords together might look neat, but avoid tying tighter than the point where cords can rotate individually as this can also affect the performance of the cord. Be sure to buy specialist cable ties or tacks. Labelling- Labelling enhances the efficiency of your management, and allows you to identify where the cable is connected to and what it does. Picture labelling is good for smaller systems, and colour co-ordination and written labels may be better for larger systems, but try to avoid hand writing them and go for printed ones. You should then map out the structure of your cable management as a backup in case the labelling system fails to identify anything.